Established in 2006, Advanced Stone & Tile Restorations located in Anaheim, California performs high quality marble, tile and grout cleaning services for bathrooms, showers, floors, counter tops, and more. In addition, we offer cleaning, polishing, sealing and restoration for marble, terrazzo, granite, travertine, limestone, ceramic tile and other natural stone. By choosing Martin at Advance Stone & Tile Restorations you will experience a whole new level of customer service and quality of work. Martin ensures to give you educated and knowledgable options for your stone and tile surfaces; allowing the home owner to make an informed decision on which service to choose. Our attention to detail and unsurpassed quality has made us the best choice for homes and businesses in Southern, CA. For more than 23 years, EK Marble has provided Orange county California with high-quality and reliable natural stone restoration, marble floor polishing, and tile and grout cleaning services. EK Marble is fully licensed and insured to service clients throughout the Orange County area for their marble and stone cleaning needs. We set ourselves apart from the competition by not only offering a wide selection of stone restoration services, but by offering competitive prices with a high level of experience and expertise. At EK Marble, we believe in the customer for life principle. This means that we will always treat you with the best customer service and offer you the most competitive prices in the business. We stand by our word to provide you with service that always exceeds your expectations. The main thing that sets us different from other stone restoration companies in Orange County, is that I do my own work that gives me a little less overhead which will reflect on the prices that I give to my customers. I’m what you call a tile mans tile man I work for several installers including stihl dealers and stone tile store owners to help with assortment of problems and issues. EK Marble is your best choice for restoring and maintaining the beauty of your natural stone and tile and grout surfaces. We provide free consultation to our customers as well as the expert information needed to properly maintain and preserve your investment. Here at Orange County Tile and Grout Cleaning we strive for excellence. Our company has been a leader in tile and grout cleaning for many years, servicing the Orange County area and providing our customers great value and services with our expertise in tile and grout cleaning. Call us today and schedule your free quote for tile cleaning, grout cleaning and restoration! StoneAge Restoration is Southern California’s premier stone and concrete restoration service provider. We cater to the public to provide superior treatment and maintenance specific to the needs of our clients. Our services include stone and concrete restoration and refinishing, tile and grout cleaning, and epoxy coatings. We refinish both interior and exterior stone and concrete surfaces. We continuously strive to provide exceptional service to both commercial and residential customers. 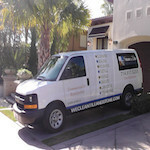 Travertine Transformations is Orange County and LA Counties Premier Stone and Tile Maintenance Company!!! We service all of the Orange County and LA County Area. We have over 20 years of hands on experience with travertine and natural stone restoration. We don’t clean carpets, windows, or air ducts. We are stone and tile maintenance professionals. We are… Professionally Trained: We were professionally trained fine art of natural stone restoration. We utilize only the finest diamond abrasives, polishing powders, cleaners, and sealers available. 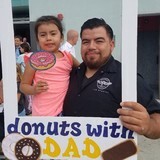 Family Owned and Operated: We are proud residents of Orange County and have always been active members in our community. We are personally on each and every job which ensures you top quality service each and every time. Honest: We offer a free in home consultation and will never try and sell or charge you for ANYTHING that is not beneficial for your stone. Sealing all stone is not only a waste it’s just not right. Trying to seal them anyway may actually results in issues for your stone. We offer a 100% satisfaction guarantee. Licensed & Insured: We are licensed to perform stone restoration and maintenance in the State of California. We are certified by the IICRC and the ITCS in hard service cleaning and stone restoration. 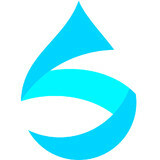 Ready with a List of References: We have a complete list of satisfied customers from residential to commercial clients. Call us for the highest standard in travertine maintenance today! 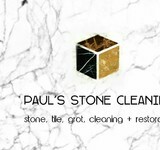 What can I expect from a professional stone cleaner in Brandeis, CA? 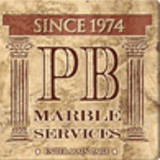 Find a Brandeis natural stone cleaner on Houzz. Narrow your search in the Professionals section of the website to local stone cleaners in Brandeis, CA and read reviews and ratings to find one that fits your needs.